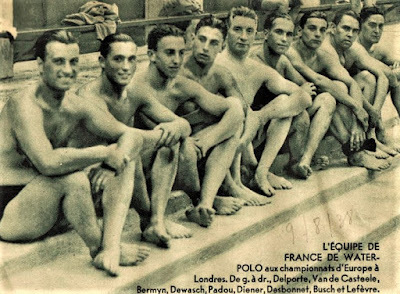 The team of France at the Empire pool Wembley during London 1938 European Championships. France has been ranked in the seventh place. 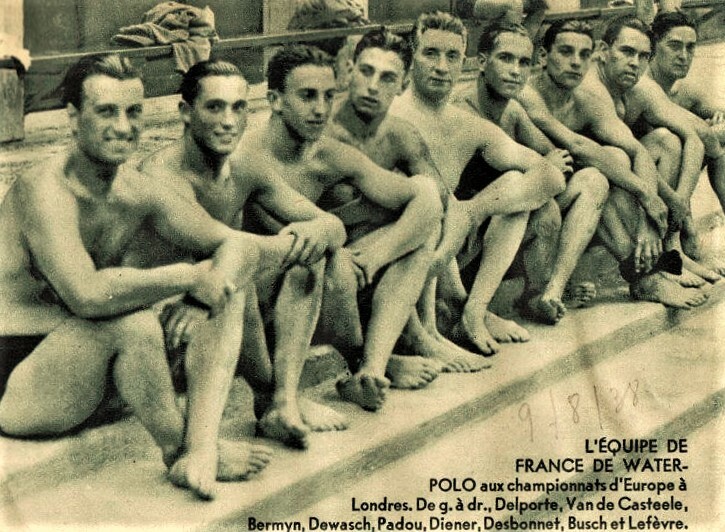 From Left to Right : Delporte, Van de Casteele, Emile Bermyn, Dewash, Padou, Diener, Desbonnet, Busch et Lefèvre.